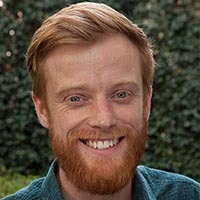 Cameron Kruse is a Lead Technologist in Booz Allen Hamilton’s Strategic Innovation Group where he works on future leaning projects at the intersection of AI and Immersive Technology. In his time with Booz Allen, he has helped craft the firm's tech scouting strategy and worked on multiple rapid prototyping efforts within the AR/VR and AI space. Prior to joining Booz Allen, Cameron was a Young Explorer with National Geographic and worked with the personal genetics startup, 23andMe. In his free time, you’re likely to find Cameron struggling to climb large rocks in Yosemite.